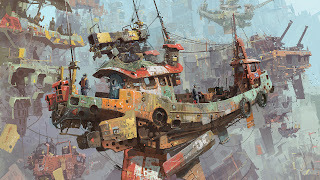 IAN MCQUE | CONCEPT ART: 'BLAST' Preview. Awesome work you post there!! Would it be possible to get some of tour work in high-res in order to frame it? Copyright © 2012 Ian McQue. All Rights Reserved.. Simple theme. Powered by Blogger.